SynDeck® Thicken It SD5200 is a marine coating anti-sag thickener. 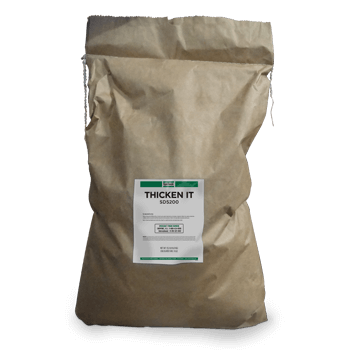 Thicken It is a synthetic urethane and epoxy thickener and a much improved alternative to fumed silica. It is an excellent complement to epoxy and urethane systems when extra body is needed, such as in coving or edging applications. It is also mildew and UV resistant and withstands exposure to oxidizing agents. These properties, along with a higher specific gravity than fumed silica, make Thicken It extremely efficient. It is the most preferred thickening agent for SynDeck coatings.